Washington, Dec. 8 – As news reports say President-elect Donald Trump is expected to nominate fast-food executive Andy Puzder as labor secretary, RespectAbility congratulates Puzder on the nomination but encourages both Trump and Puzder to include people with disabilities in their jobs programs. 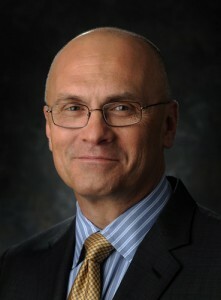 An adviser and contributor to Trump’s campaign, Puzder is the chief executive of CKE Restaurants Holdings Inc., the parent company of the Carl’s Jr. and Hardee’s burger chains, which employs more than 20,000 people. RespectAbility looks forward to working the new potential secretary of labor to ensure that all people with disabilities who choose to work are given opportunities to find competitive, integrated employment. Puzder has spoken out against raising the federal minimum wage and criticized the Affordable Care Act, calling for its repeal. “People with disabilities need access to good jobs and healthcare so that they too can achieve the American dream,” said Mizrahi.